Holiday is approaching super fast! Once Halloween comes, you can bet that someone will have a Christmas tree up in the mall or flashing lights at the entrance of their store on November 1st. Holiday is a great time to take advantage of some of the shopping deals that are out there. If you are in need of new makeup or have been thinking about trying a line that you have not before, now is the time. Cosmetic companies spend a lot of time and money to pull together sets to optimize their business throughout the holiday season. I have scoured and shopped and tested some of best sets on counter this season. Here are a few for you to try! 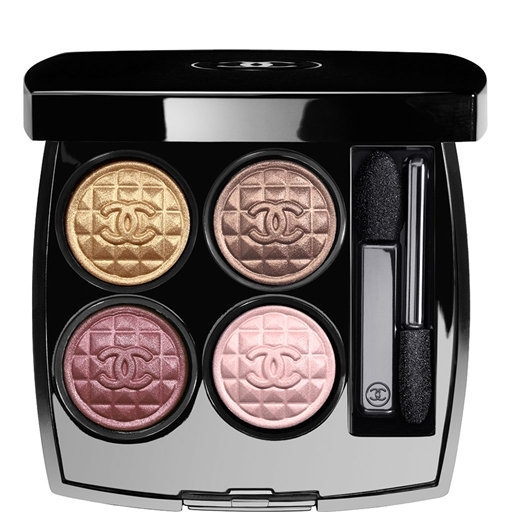 This palette has 4 shadows that will compliment almost any skin tone. 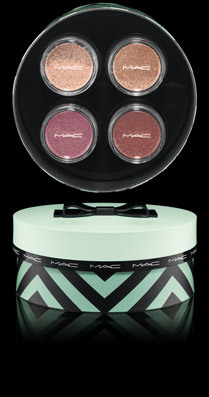 The shimmering gold, plum, smoked taupe and pink shadows are great to wear to all of those holiday parties you have lined up. While wandering in the mall, I decided to check out Sephora and there was a ton of gift sets available. I ended up picking up the Stila “All Is Bright” Lip Glaze set for $25.00. It is a really sweet set. It has 8 semi-sheer colors that are not too sticky. This set appealed to the practical me. I checked out Bobbi Brown. 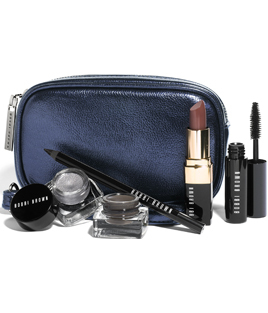 Bobbi Brown usually pulls out the punches for her holiday sets and this year she did not disappoint. The name of this set is called “From Coffee to Cocktails”. I like this set because it has long wear products in it. It has 2 long wear shadows, a long wear eyeliner and a longwear mascara. The lipstick is not longwear, but is one of their most popular shades. A small black cosmetics bag comes with the set!